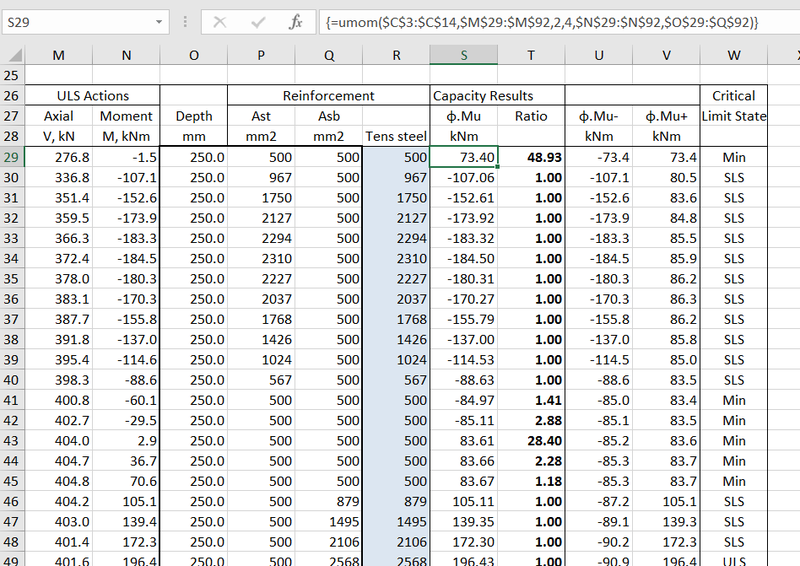 The existing optional “depth” argument has been extended so that an array of reinforcement areas can be entered, which will override the values in the main section data input. 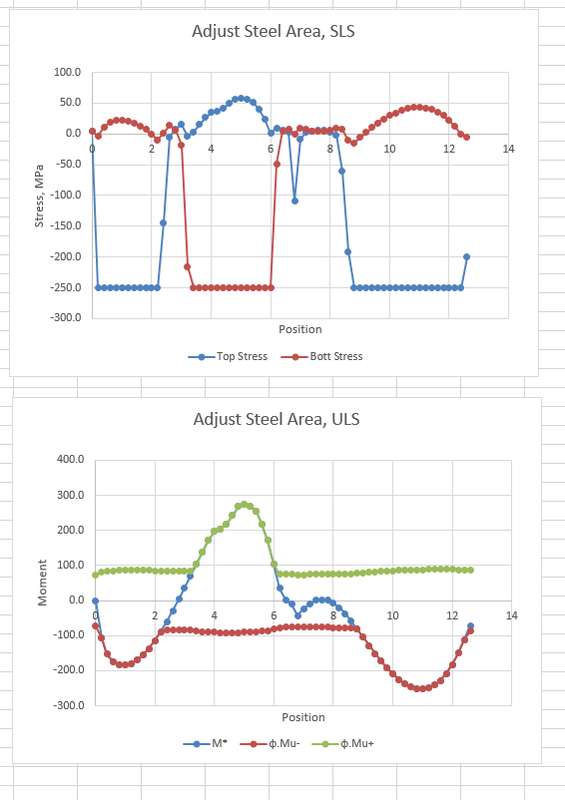 My Goal Seek macro has been added, so that the reinforcement areas can be adjusted so that the tensile reinforcement stress, or section bending capacity, match a given value, and the process can be automated over a column of data of any length. Examples of using the Goal Seek macro with the EStress and UMom functions have been added. The screen shots below show samples from the new examples. Further details of setting up the data to work with the Goal Seek macro will be given in the next post. 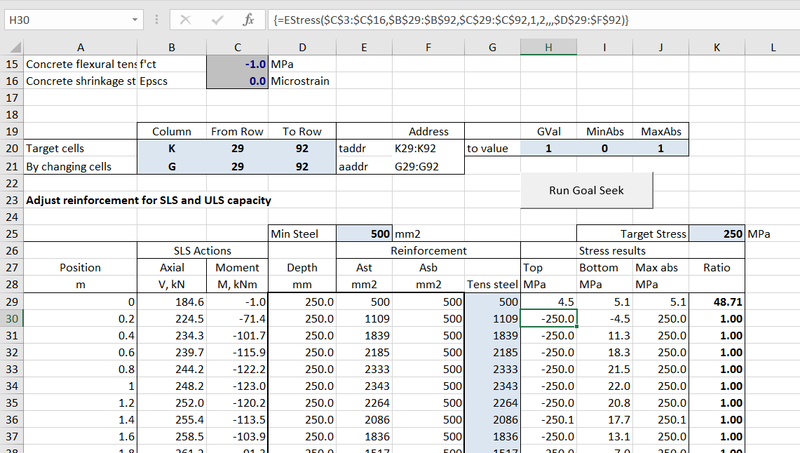 This entry was posted in Arrays, Beam Bending, Concrete, Excel, Frame Analysis, Newton, UDFs, VBA and tagged EStress function, Excel, Goal Seek, Reinforced Concrete, UDF, UMom function, VBA. Bookmark the permalink.